To families all around the world, grandmothers represent an invaluable resource when it comes to caregiving. Their impact, particularly regarding maternal nutrition practices, comes with incomparable wisdom and experience having been mothers themselves. Like any other social role, however, the role of the grandmother is one that varies depending on the culture and context in which it is played, which is something that tends to be at times overlooked in the field of development. More specifically, the degree to which grandmothers contribute to the maternal nutrition practices in developing countries tends to be very high, yet grandmothers sometimes find themselves excluded from public health interventions. Mothers in developing countries are consequently presented with a dilemma: to either respect their extended family members’ advice on traditional maternal nutrition practices, or to conform to modern practices suggested by health professionals, leaving grandmothers out of the equation. The omission of grandmothers in these new initiatives simply prevents real progress and change from happening. Not only are they influential, but they are also highly interested in knowledge and learning. In fact, while many of them may not have had the same formal educational opportunities as their daughters and daughter-in-laws, they are the traditional knowledge keepers and the person many mothers turn to. This lack of cultural understanding, which Dr. Judi Aubel, Executive Director of the Grandmother Project, refers to as ‘’the gap,’’ is what inspired her to develop a practice that leverages grandmothers as leaders in the advancement of maternal and neonatal care, with a focus on developing community health and education programs that build on socio-cultural realities and resources, and that empower communities to effectively promote their own wellbeing. 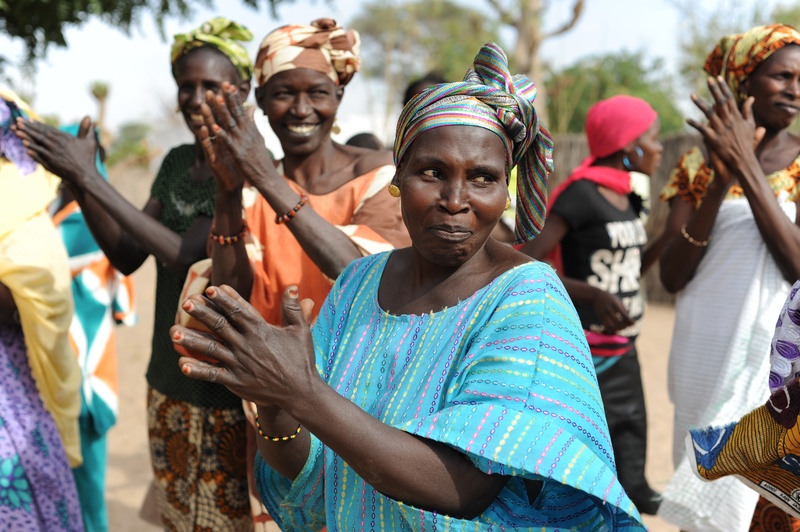 By using a grandmother-inclusive approach, the Grandmother Project strengthens, educates, and empowers grandmothers to catalyze positive change and gradually leave behind less useful and harmful practices. As a matter of fact, grandmothers become informed nutrition champions within their community, where mothers must consequently no longer face the pressure of choosing between conflicting practices – all of which enables real progress of taking place. 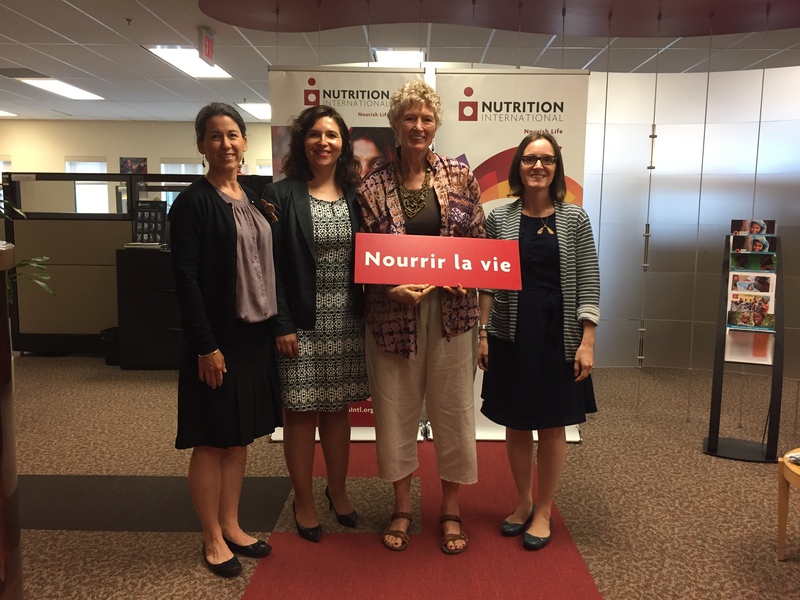 On June 22, Nutrition International had the honour of welcoming Dr. Aubel to HQ Ottawa to deliver a presentation on the Grandmother Project. Staff were inspired by Dr. Aubel’s extensive knowledge and desire to include community members in solutions and her exciting and innovative perspective on how to revolutionize maternal and newborn nutrition. Dr. Aubel led the formative research that informed the Behaviour Change Communications Strategy for our Senegalese “Integrated nutrition project in the regions of Kolda and Kedougou” (PINKK). She also conducted training for PINKK staff on her ‘change through culture’ approach –the idea that all community programs should be built on local cultural roles and values while strengthening their positive facets in order to successfully promote change. Nutrition International prides itself on working with communities to not only design programs and policies that respond to needs, but also, and more importantly, that take into account cultural strengths and differences. The Grandmother Project is a reminder to us all that working with diversity as opposed to against it generates stronger results, and that grandmothers have always been, and will continue to be, a crucial component to child care and nutrition. Learn more about the Grandmother Project here. Dr. Aubel has 20 years of experience working with community health programs in Africa, South Asia, and Latin America and expertise in adult education, medical anthropology and public health. She has been recognized globally and has received several awards. She was listed among the BBC‘s 100 Inspirational and Influential Women of 2016, became an Ashoka Fellow in 2014 and won the Thomson Reuters Foundation’s Trust Women Hero Award in 2012.